Three days after Jesus died, He was alive and He appeared over 40 days to around 500 different people! The Lucky Ladies have had their resurrection moment! Jesus was dead in the tomb. The ladies got there and Jesus wasn’t in the tomb, the angels told them He was Risen! They went to tell the disciples, John and Peter also witnessed that Jesus wasn’t in the tomb. Jesus appeared to Mary Magdalene and some other Women! They were the first to see Him ALIVE! Main Point: Jesus Christ, Son of God, the Resurrected Savior, is our ONLY hope! Just as He said, Jesus rose from the dead! A false prophet He’s not, an eternal kingdom is what He’s got! 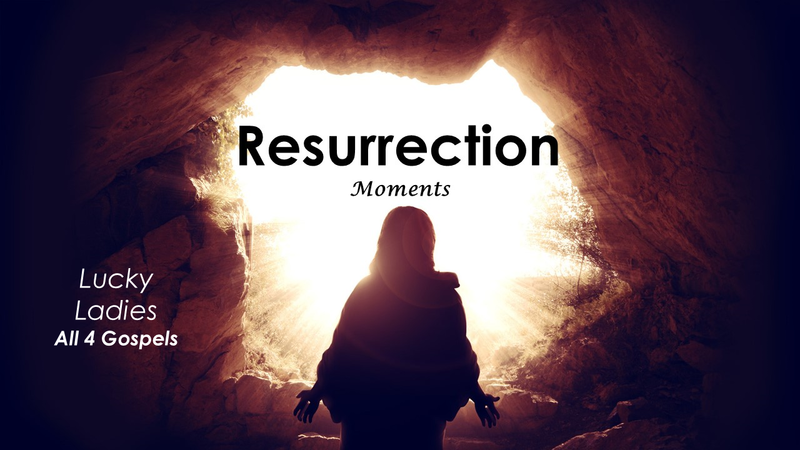 Because of the resurrection win, death is not the end! For those at the end of their rope, the resurrection brings new hope!